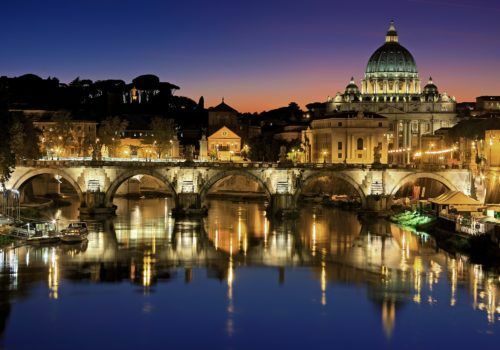 An extended stay in one of the world’s most beautiful cities – Rome. 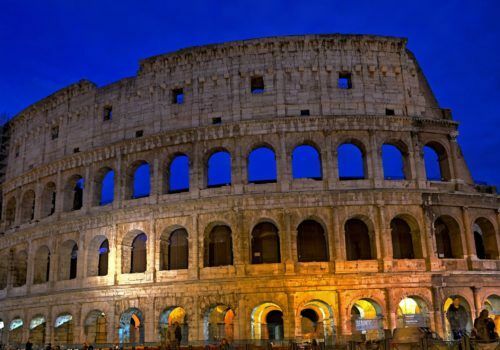 Live like a Roman in the eternal city, admiring some of the most famous monuments in the world. 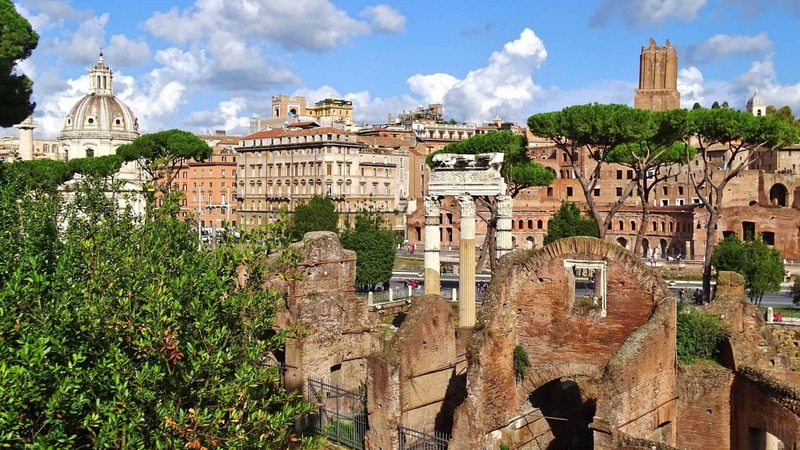 You’ll also follow in Roman emperors’ footsteps walking along the historic city centre: from the Colosseum where our guide will recount the gladiators’ life up to the Imperial Fora, Circus Maximus and the Pantheon. Head up to Tivoli, the ancient town near Rome famous for its thermal waters and for having been the place where emperor Hadrianus lived his gay love story. You’ll also take part in the “sweet life” of Rome, ‘La Dolce Vita’, a one-day-journey searching for love and happiness. For a real taste of living like a Roman, a ride on a Vespa Ape will make you feel like you’ve always lived in the eternal city. Arrive at the airport where we’ll pick you up and chauffeur you to your 4* hotel. Enjoy your first afternoon and evening at Rome at your leisure, wandering the romantic streets and discovering the beauties of the city. The tour starts in the morning with the Vatican Museums’ tour. At first sight, your eyes will be caught by the modern entrance built for the Jubilee in 2000 but then, inside the museums, the Sistine Chapel will amaze you. You’ll see ancient Greek and Roman statues, above all the ones of the emperor Hadrian and his beloved Antinous. The ceiling of the Sistine Chapel was painted by Michelangelo between 1508 to 1512. The commission was originally to paint the twelve apostles, however Michelangelo demanded a free hand in the pictorial content of the scheme. He painted a series of nine pictures now worldwide famous. People talk a lot about Michelangelo’s figures because he was inspired by common people and gave a particular attention in painting sensual nudes. Our gay-friendly guide will tell you all about the secrets of his private life and how scientists from all over the world now agree that he was homosexual and had a love story with a young poet. You’ll then visit the Gallery of the Tapestries before having the rest of the afternoon and evening to explore yourself. The tour starts at “Colle Oppio”, one of the famous Seven Hills of Rome that has a beautiful view over the Colosseum. Today you’ll follow in Roman emperors’ and their subjects’ footsteps. Here Nero married the beautiful Sporus and then Pythagorus in Roman gay marriages. In fact in ancient Rome, gay marriage wasn’t as frowned upon as in some countries today. It’s also thought that Julius Caesar, great general and statesman, caused scandal when he had a relationship with Nicomedes, the king of Bithynia. It’s then on to the Colosseum where your priority ticket will mean you can skip the line and gain access straight away. Your guide will tell you about life inside one of the most famous monuments in the world: fights between gladiators and even water battles with ships. After a little break in the nearby of The Arch of Constantine, erected by the Roman Senate to commemorate Constantine’s victory over Maxentius you’ll head to Palatine Hill. It’s the most famous of the seven hills of Rome and where Romulus and Remus were found by the she-wolf. You’ll see the Imperial Fora and the Circus Maximus which was an ancient Roman chariot racing stadium. From there you will walk along The Via Sacra, the main street of ancient Rome, where you’ll find the Temple of Caesar where he was cremated. You’ll also see Piazza Venezia and the Pantheon During the tour. The rest of the day is yours to enjoy at leisure. Today you’ll visit the two most important villas in Tivoli: Villa d’Este and Villa Adriana. The first one, built in 1560, is included in the UNESCO world heritage list. With its impressive concentration of fountains and grottoes, it was a much-copied model for European gardens. Then at Villa Adriana, which was the home of the emperor, you’ll see what was a complex of over 30 buildings and the greatest Roman example of an Alexandrian garden. The complex included palaces, several thermal baths, a theatre, temples, libraries, state rooms, and quarters for courtiers, praetorians, and slaves. The villa was also the place where the emperor lived with his love Antinous. In 1998, the remains of what archaeologists claimed to be the monumental tomb of Antinous, or a temple to him, were discovered at the villa. During the decline of the Roman Empire, the villa fell into disuse and was partially ruined. In the 16th century, statues in Hadrian’s Villa were removed to decorate Villa d’Este located nearby. At the end of the visit return to Rome. The rest of the day is at your leisure. In the morning walking along Via Condotti, the Roman street dedicated to haute couture boutiques. After some shopping, it’s time to board a Vespa Ape to discover the atmosphere of the “magic ’60s” and the streets of Rome. You’ll visit the famous Trevi Fountain in the afternoon and toss a coin over your left shoulder into the fountain. Then you’ll take a walk to Villa Borghese to visit its romantic English garden containing a number of buildings, museums, little lakes and woods. At the end of the day return to the hotel and overnight. You’ll spend the day visiting the iconic places where the Academy Award winning film ‘The Great Beauty’ by Paolo Sorrentino was set. Your excursion starts from Via Veneto which was the heart of 50s life as well as home to luxury hotels, cafes and the US Embassy. 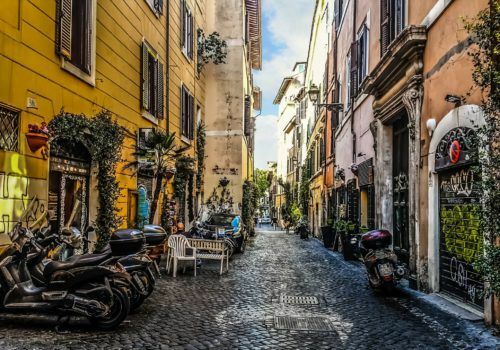 Walk from Via del Tritone to Piazza Navona where you’ll find the famous Fountain of the Four Rivers by Gian Lorenzo Bernini and the church of Sant’Agnese in Agone by Francesco Borromini. The walk continues along the Aventine Hill, one of the seven hills on which ancient Rome was built. From there glance through the keyhole of Villa Malta to see Saint Peter’s Basilica in perspective. From there you’ll reach Parco Savello with its beautiful Orange Garden. In the afternoon visit the Baths of Caracalla, the second largest Roman public baths, built between AD 212 and 216, during the reign of the Emperor Caracalla.